2011 call for entries for the 4th annual Sparky Awards has been announced on SPARC media pages. 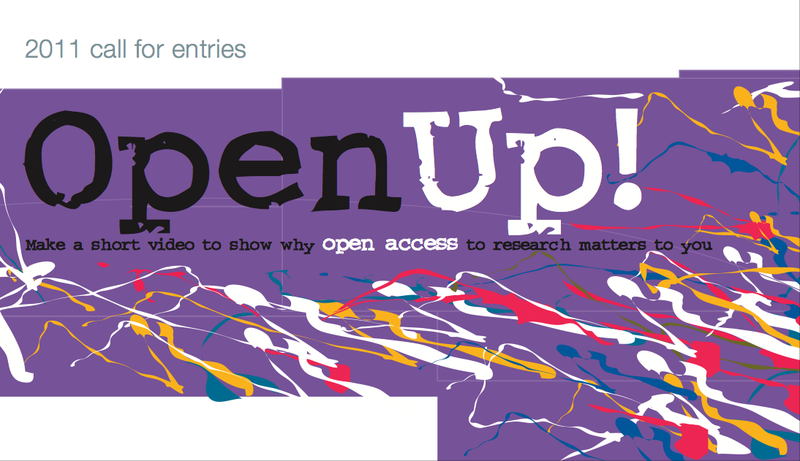 The “Open Up!” video contest is aimed at students who are to present in an imaginative way and in a two-minutes time frame, their vision of Open Access movement shaping ideas. The entries must be received by May, 27 and winners will receive iPad, iPhone or iPod, depending on the number of group members, and finally, they will be awarded a “Sparky Award” statuette. Their work will be publicized widely and available on the internet under a Creative Commons license. To get a sense of what would a wished effect be, I have made a personal selection of favorite videos from previous entries. They are fine work, and the ideas revolve around the word “share”. However, it could be that Open Access has now made students more thoughtful than ever about its potential, and according to what we have seen during the latest Open Access Week, we can only expect more than we could ever imagine. Clueless Discovery - a wonderful illustration of how we may not appreciate what others may read as our way out of darkness. How To Make Things Easier - A weird animation makes this warning against hitting the wall thrilling. Pri Vetai: Private Eye: detective Vetai solves crimes with the help of technology. It has a love story, a hero and a villain - all in two minutes. Share: My all time favorite. Minimalistic and brilliant. Those and many more can be found at theSparky Awards website, and you can also give your vote for the People’s Choice category. This entry was posted in Creative Commons, Open Access and tagged Creative Commons, Open Access, Open Access video, Open Up!, Sparc, Sparky Awards, students. Bookmark the permalink. Any help in clearing this up would be appreciated. Thank you for your time and for putting this together. Hi, Brian. On their page it says that videos must be submitted by 12:00AM (Eastern) May 27th, 2011. http://www.sparkyawards.org/details/index.shtml Perhaps you could explain your situation and contact one of the judges directly: nick [at] arl.org (Nick Shockey). Best of luck!